There are (and will still exist) some home or office devices that will not be able to connect directly to the Internet through a WiFi connection: smart TVs, media players, (older) game consoles are just a few examples of devices that need a wired Ethernet connection to the Internet. Naturally, if you’ve got your home or office wired from a router to each device’s location, then it’s simple to plug the Ethernet cable in. But, what if you don’t have Ethernet cables going where you need them? Since you have a WiFi connection, you need a WiFi to Ethernet adapter, so that your smart TV or media device can use that connection to access the Internet. 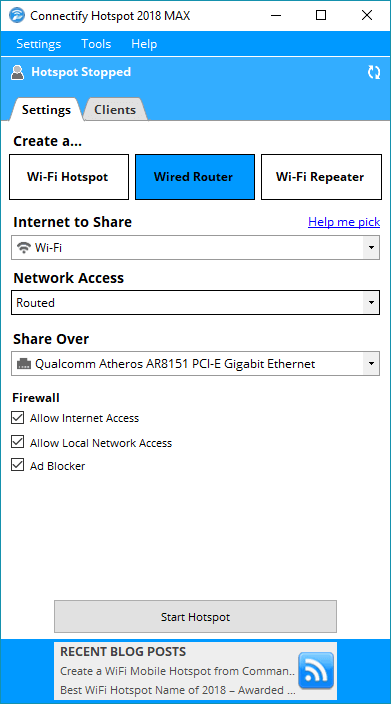 Read below to see how to turn your own laptop into a fast and convenient WiFi to Ethernet adapter with the Connectify Hotspot software app. Forget about planning to run wires under the carpets or near the edge of the room to connect your Ethernet-only device to Internet. No need to buy hardware devices, such as dedicated WiFi to Ethernet adapters or additional routers to configure them as bridges. All you need to get the best WiFi to Ethernet adapter is your laptop equipped with a software program for Windows: Connectify Hotspot. Install Connectify Hotspot on your Windows PC or laptop and purchase either Connectify Hotspot PRO or MAX here with a 70% discount! Run the program and click on the Wired Router button in the interface. Under ‘Internet to Share’ – select your wireless adapter – WiFi or 3G/4G. Under ‘Share Over’ – select your Ethernet adapter. 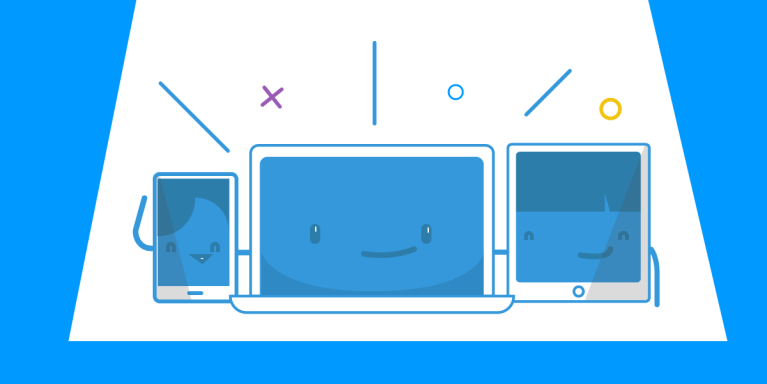 Connectify Hotspot is an easy-to-use virtual router program that lets you share Internet from your laptop, PC or tablet with your smartphone, media player, game console, e-reader, other laptops and tablets, and even your nearby friends. Whether you’re traveling, at home, or just working from a coffee shop, Connectify Hotspot keeps you connected anytime and anywhere. Boost Your Range Instantly with WiFi Repeater Mode: Easily extend the range of your existing WiFi network!